October 13, 2015 (KHARTOUM) - Sources have disclosed ongoing clashes between Sudanese troops and Ethiopian gangs known as Shifta on the border between the two countries since Sunday saying that military reinforcement has been sent to the area. No official statement has been issued from both governments. The fresh clashes come after the death of eight Ethiopian nationals during confrontations between Sudan’s Popular Defence Forces (PDF) and Ethiopian armed groups last September. Sources in the state of Gedaref told Sudan Tribune that Ethiopian gunmen have entered Atrad area inside Sudan’s territory since Sunday, pointing to the tense situation in the area following the killing of several Ethiopian farmers last month. Farmers from two sides of the border used to dispute the ownership of land in the Al-Fashaga area located in the south-eastern part of Sudan’s eastern state of Gedaref. 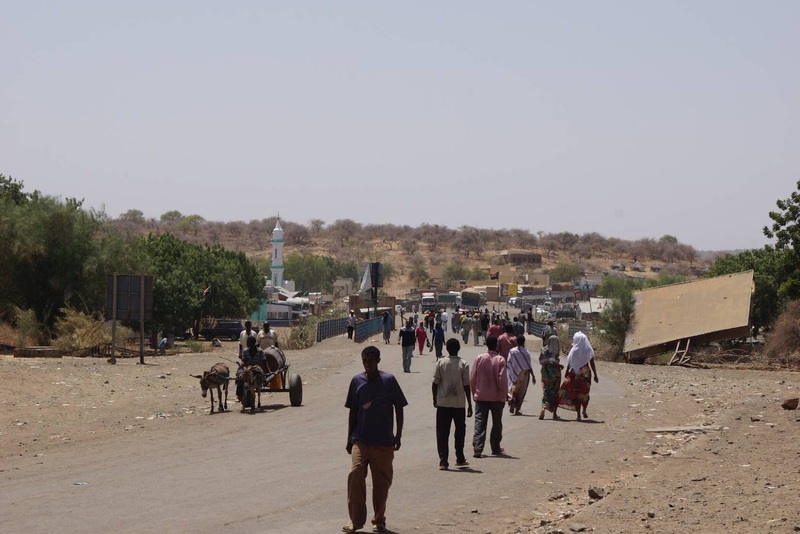 Last September, the governor of Gedaref state, Merghani Salih has complained that Ethiopia controls more than a million acres of Sudanese agricultural land in the area of Al-Fashaga, saying the area has been completely isolated from Sudan. It should be mentioned that Al-Fashaga covers an area of about 250 square kilometers and it has about 600.000 acres of fertile lands. Also there are river systems flowing across the area including Atbara, Setait and Baslam rivers. Multiple sources have confirmed that clashes are ongoing between the PDF and the Shifta gangs in Shingal area on the outskirts of Kinaina town in the locality of east Galabat, pointing that a Sudanese soldier was killed in the clashes. The same sources noted that reinforcement from the Sudanese army and the special forces are en route to support the PDF troops. The two governments have agreed in the past to redraw the borders, and to promote joint projects between people from both sides for the benefit of local population. However, the Ethiopian opposition has used to accuse the ruling party of abandoning Ethiopian territory to Sudan. In November 2014, Sudan’s president Omer al-Bashir and Ethiopia’s premier, Hailemariam Desalegn, instructed their foreign ministers to set a date for resuming borders demarcation after it had stopped following the death of Ethiopia’s former prime minister, Meles Zenawi. Also, in December 2013 the Joint Sudanese- Ethiopian Higher Committee (JSEHC) announced that it reached an agreement to end disputes between farmers from two sides of the border over the ownership of agricultural land particularly in the Al-Fashaga.